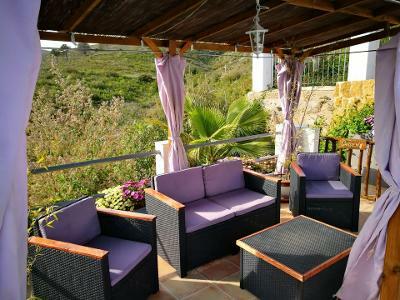 The Villa is south facing with sunshine all day long. The swimming pool and all terraces and gardens are right outside your front door which makes looking after your children a lot easier. Perfect for quiet reading or play music while you're in the pool. This is a holiday for relaxing and having fun. Keep an eye on the sky and you will most likely catch sight of eagles flying overhead or even some vultures circling. 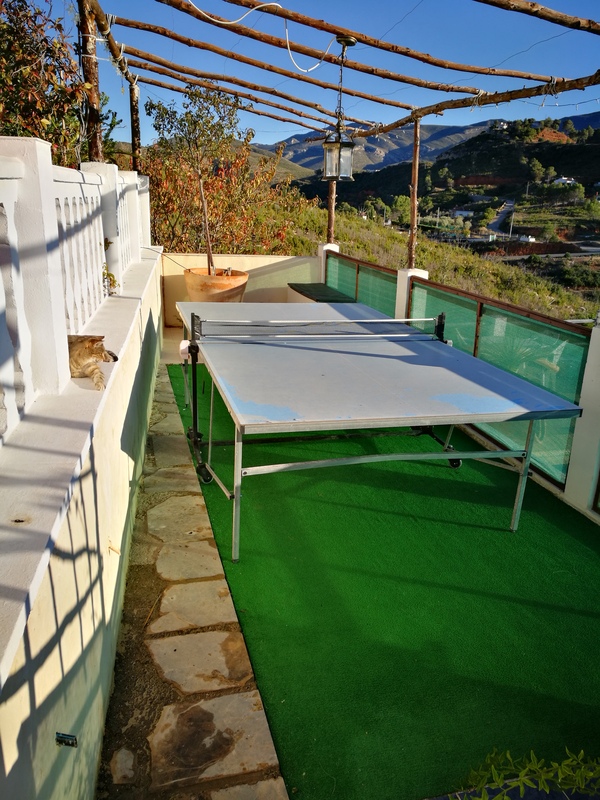 There are 3 sunbathing terraces by the pool (wet areas) one of which has a gazebo with curtains if you want some shade while sat by the pool, one is a large astro turfed area with sunbeds and the third has swing ball, then a second terrace astro turfed has table tennis. 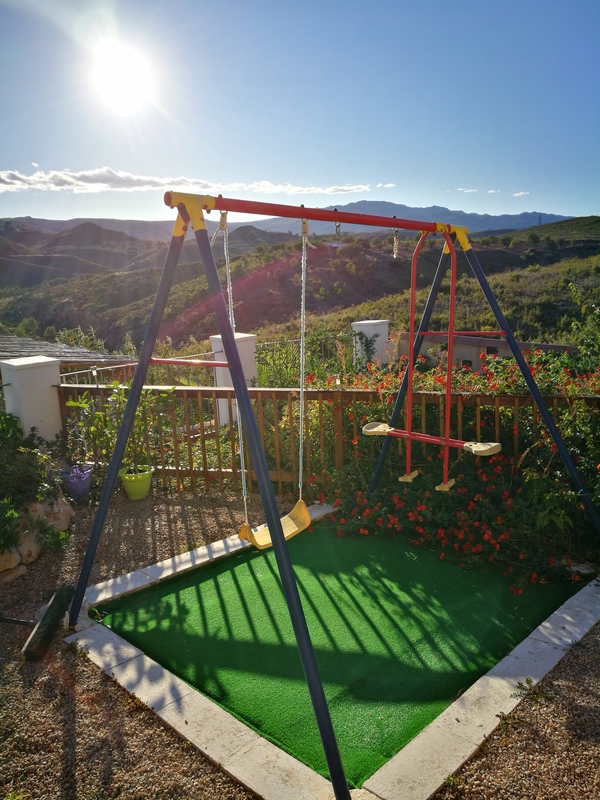 There is a large terrace in the shade outside the villa with dining table and swing chair plus just to the side a children's play area with swing and see saw making it easy for you to keep your eye on the children at all times. There is a gate to the pool from this terrace so you can close it to seal the pool area. 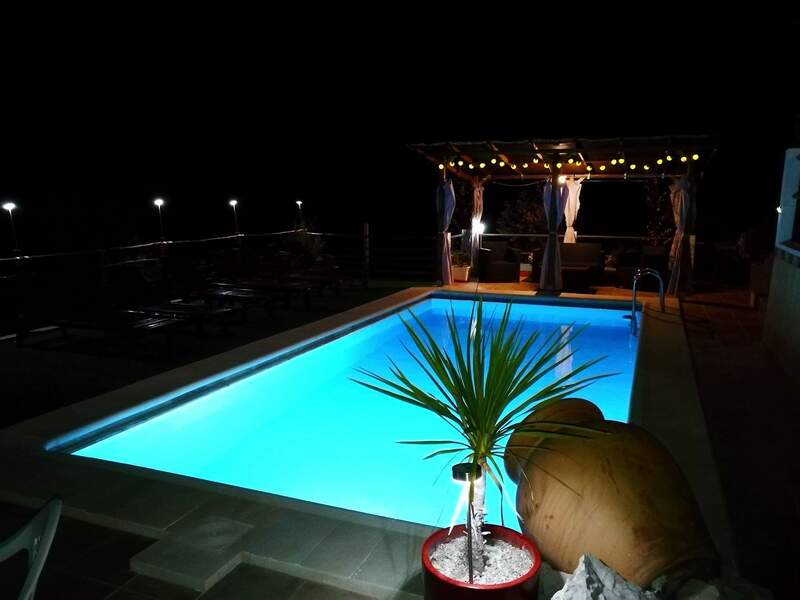 The swimming pool has a pool light and lighting around the pool on the terrace areas and with the pool being directly in front of the villa it makes it perfect for night time swims under the star and moonlit sky. This is a self catering villa, however, if you're staying for 1 week or more, on your arrival at the villa you will find a free welcome pack containing a freshly prepared meal with dessert and wine for everyone (soft drinks for children) plus breakfast provisions for the following morning and all the essentials like milk, tea and coffee, so after your journey you can relax straight away. You will have satellite TV Spanish and UK plus a DVD player, Hi-Fi. Some DVDs and CD's are available on request. Our nearest village, Macastre, is a 5 minute drive away. It is a real Spanish village with real Spanish people who are very laid back and friendly. Even if you don't speak a word of Spanish you will always get by in cafes, bars and shops. The locals are always helpful. Spain is a big country and it is always advised to hire a car on arrival at the airport. Pre-booked, hire cars can be found quite cheaply and picked up right outside Valencia airport. Valencia airport is 30 minute drive from the apartment. Most budget airlines fly direct to Valencia airport. Alicante airport is the next closest main airport but Madrid and Barcelona airports are very easy drives or trains to the villa. 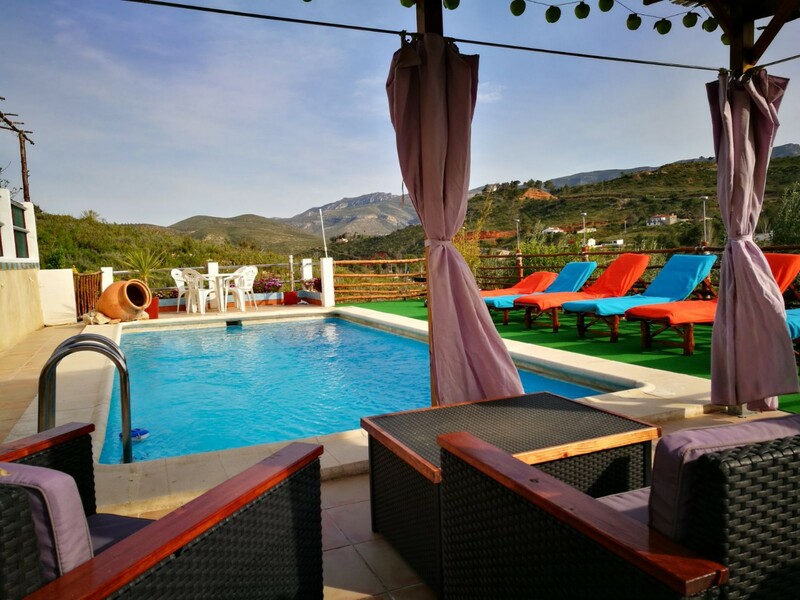 Valencia is just as beautiful in the Autumn and Winter as it is in Spring and Summer so take advantage of this and the out of season bargain rates at our villa. You will still get as big a welcome what ever time of year it is. 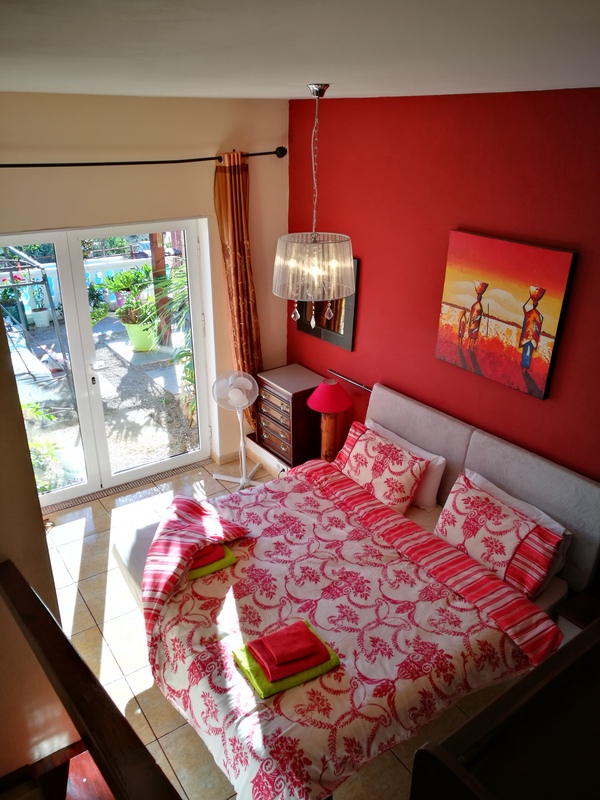 During the winter months the surrounding area of the villa is perfect for Painting, Walking, Nature, Bird Watching and Cycling Holidays or just relaxing taking in the winter sun. If you like Historic Holidays again there is plenty to see in the surrounding area and in the city of Valencia. Nightlife in the City and the villages is great all year round and with Valencias micro climate (warm sunny weather 310 days of the year on average more than the rest of Spain due to a ring of mountains keeping bad weather out and the good in) the beaches can be enjoyed any time of the year. There are lots of leaflets etc in the villa showing places to go and things to do. 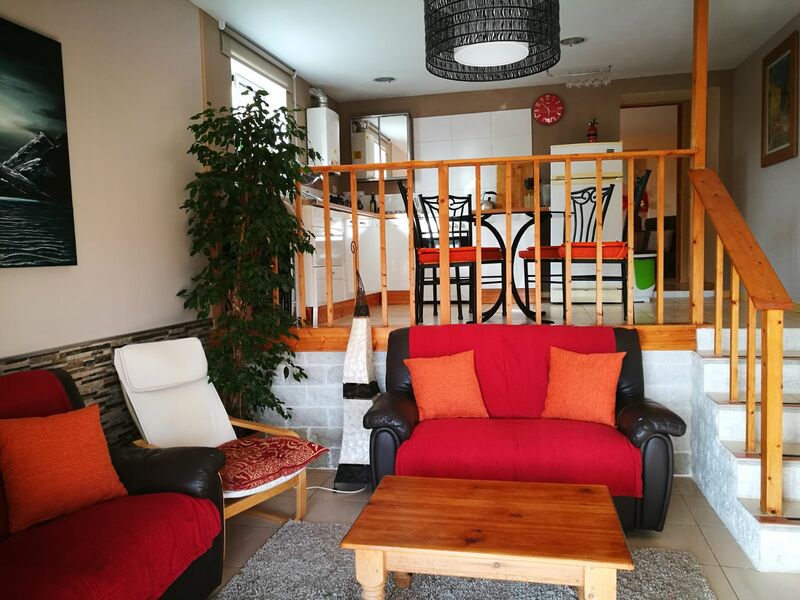 The owners live in the apartment above with separate outdoor area (north Facing) to the front of the villa and are available for assistance if required. 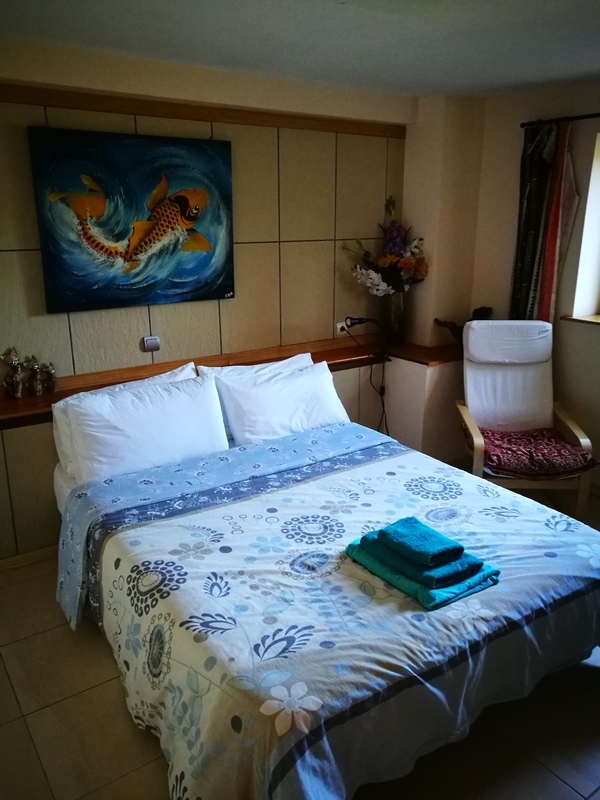 The owners will not intrude on your stay in any way we will maintain the pool and the gardens so you can have a pleasurable relaxing stay. Each year we add more to the villa to make your stay here even more enjoyable. We do consider pets. Please be aware there are cats at the villa. 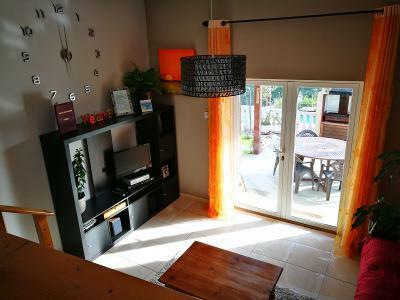 The Kitchen / Dining room is open plan to the living room but on a different floor level. 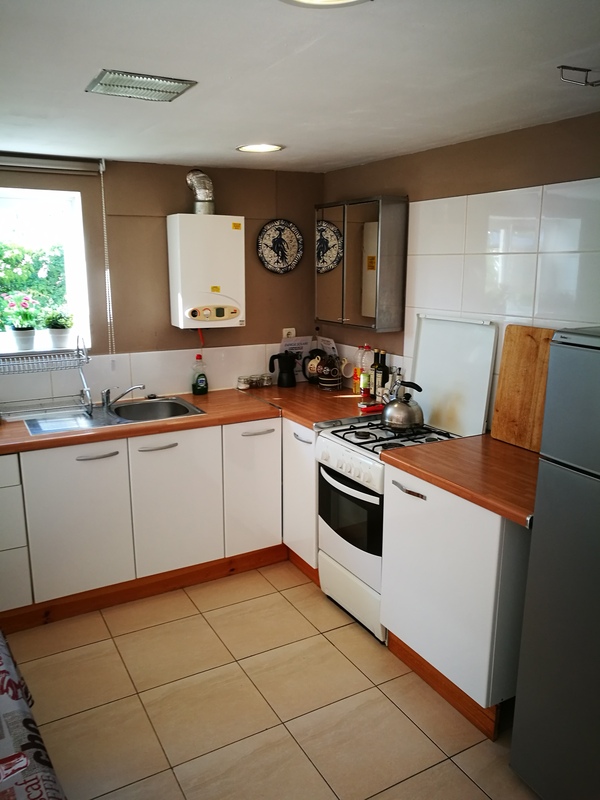 The kitchen consists of a cooker, fridge freezer, sink, cooking utensils etc that you need if you dicide to stay in and cook a meal. The Main Bedroom. 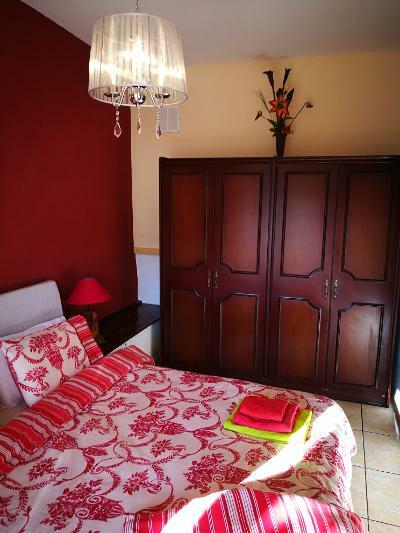 This is a large room consisting of a double bed, wardrobe and window seat. Enjoy breakfast in bed and from the bed views of the mountains in this modern room. The Twin Bedroom. This is a large room consisting of two single beds or a superking bed and a wardrobe. For larger parties a fold away bed can be added giving the room 3 single beds. The 3rd Large Bedroom This is a large room consisting of a double bed, wardrobe and Patio doors leading onto the terrace with swing chair. Enjoy breakfast in bed and from the bed views of the mountains in this modern room. 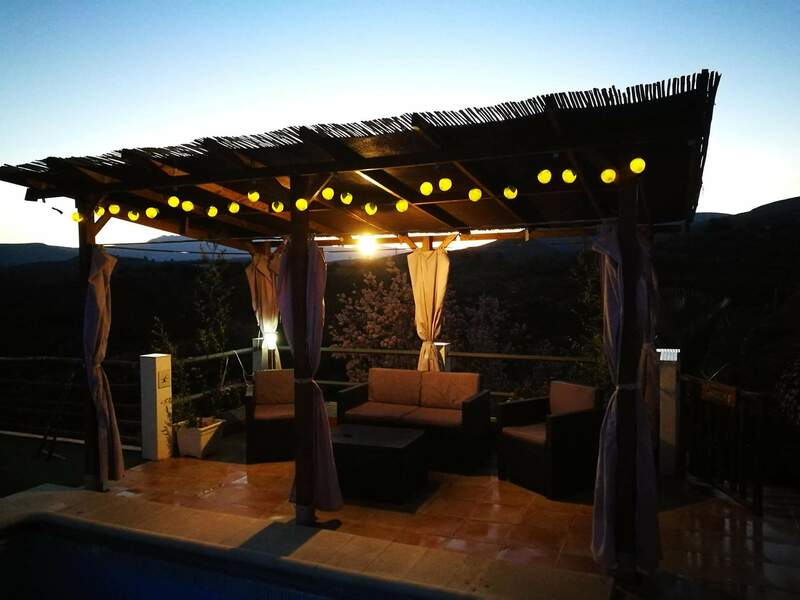 Step out of the villa doors onto your private terrece with a shaded eating area for thoughs summer evening meals and comfy swing chair that turns into a double bed for a full relaxing day in the sun. All you have to do is lay back and relax. Beds can be rearranged to suit your needs, singles / doubles / and sofa beds. If you have any special needs please inform us and we will see if we can accomodate. We do consider small pets but please inform is before your arrive that you wish to bring your pet. There are cats at the villa. 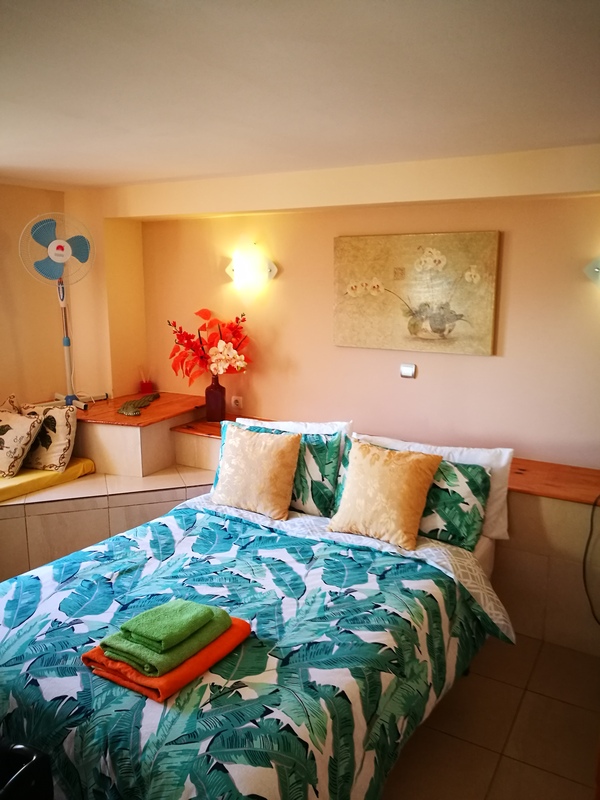 We run our villa as environmentally friendly as possible all water is mainly supplied via a solar water heater and all electricity as supplied mainly by solar power. Solar power has no problem running your everyday house hold appliances but we do not use electric coffee machines, electric kettles, electric toasters and any item with a heater element as these use a lot of electricity and drain the solar batteries very quickly. We do supply alternatives i.e gas kettle and coffee maker etc. 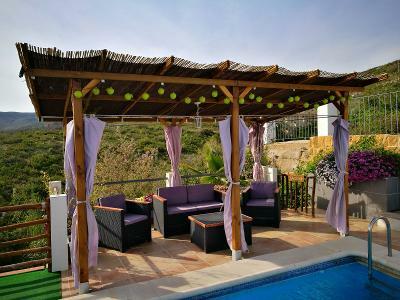 The owner has the right to remove any items from the villa without prior notice if being misused or damaged.